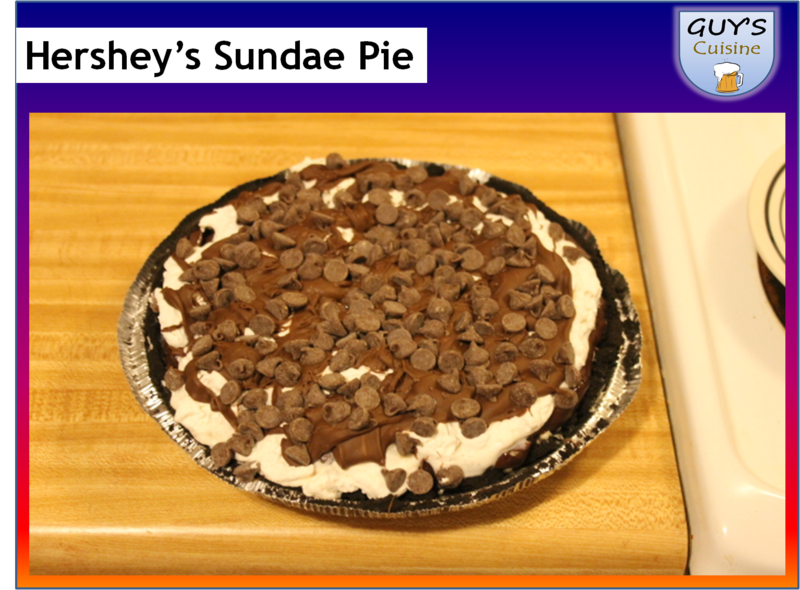 Whenever I go to Burger King, I always like to get a slice of Hershey’s Sundae Pie. Each slice of pie is individually sliced and ready to dig right in after I have my burger fix. So I wanted to try to copy the pie like the one you get from Burger King. And I think I came pretty close! Here’s what you need. 1. Put the cream cheese in a bowl and whip the cream cheese. 2. 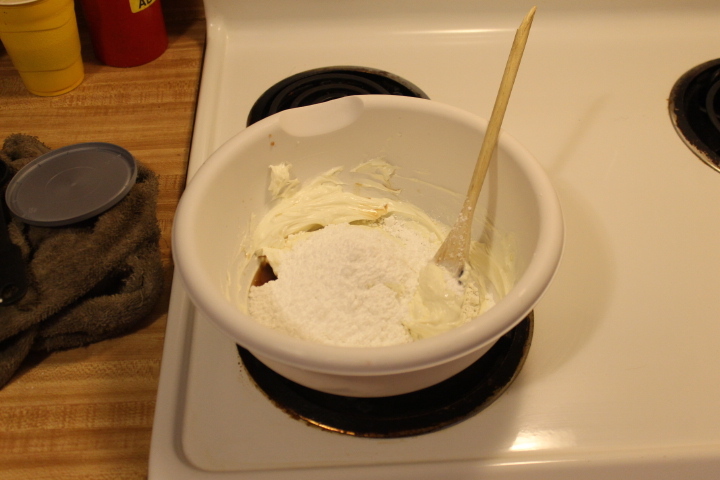 Add 2/3rds of the Cool Whip, vanilla extract, and powdered sugar and mix well. 3. 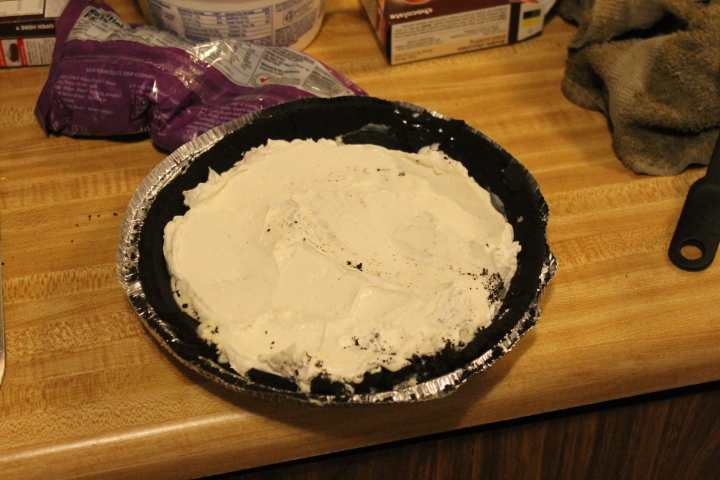 Pour cream cheese mixture into Oreo pie crust. Use spatula to even out the filling. 4. Follow the directions on the pudding box, but use the 1 1/2 cups chocolate milk instead of the directed amount on the box. 5. 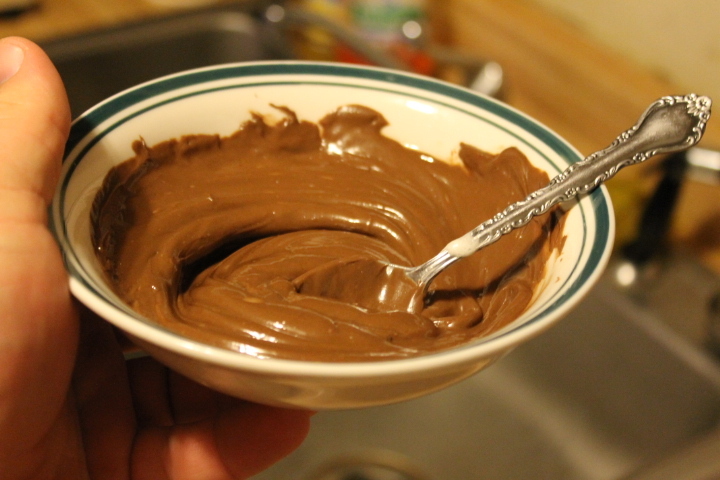 Take the pudding mixture and pour into a bowl. Put into freezer and cool completely! 6. 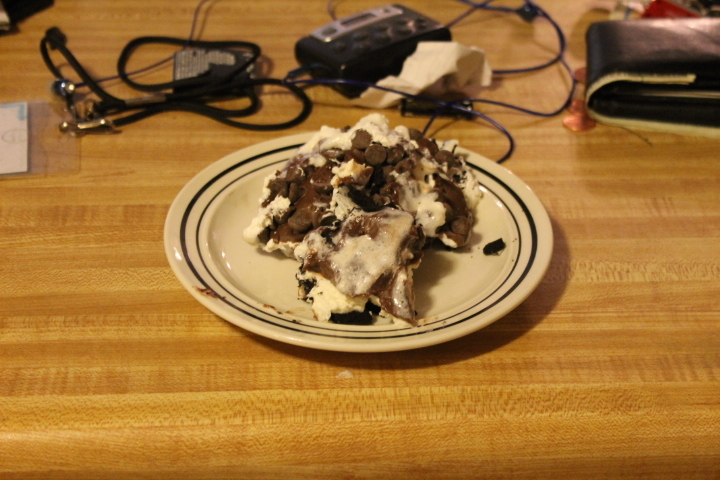 After fully cooled, pour pudding mixture on top of cream cheese mixture. Spread evenly. 7. 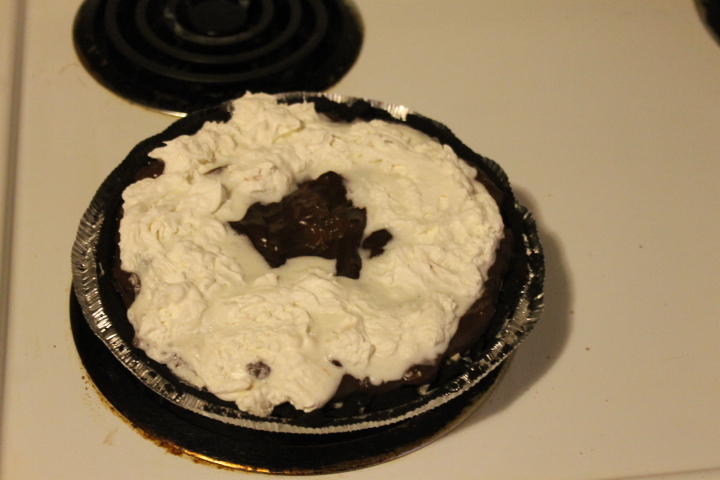 Take the remaining Cool Whip and spread around the edges of the pie. 8. 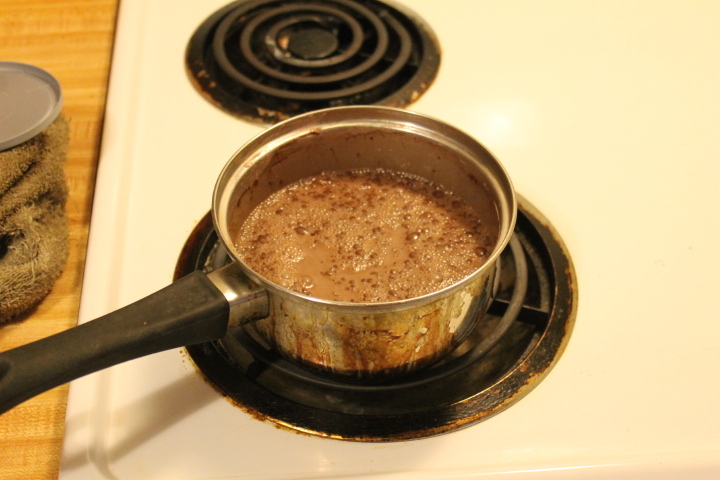 Take 1/4 cup chocolate chips and melt in microwave. 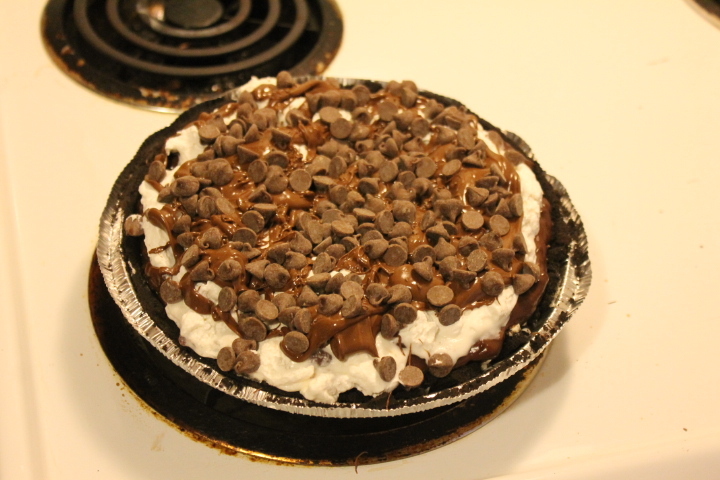 Spread melted chocolate on top of pie. 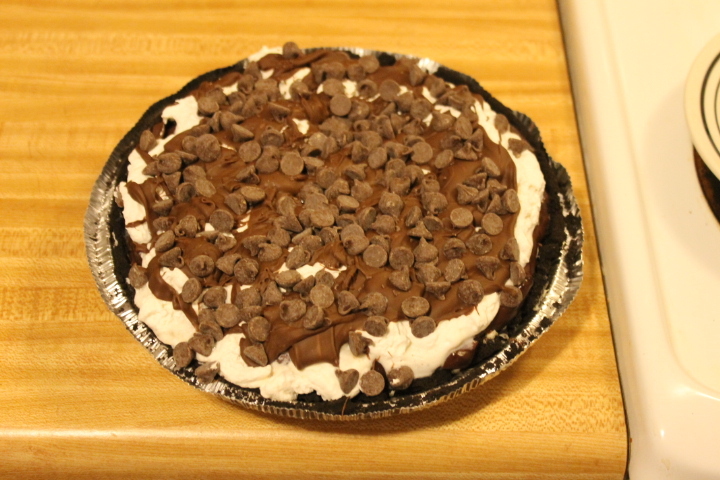 Take remaining chocolate chips and spread on top of pie. Put pie in refrigerator and leave in fridge until you are ready to serve. This pie was yummy, enjoy!